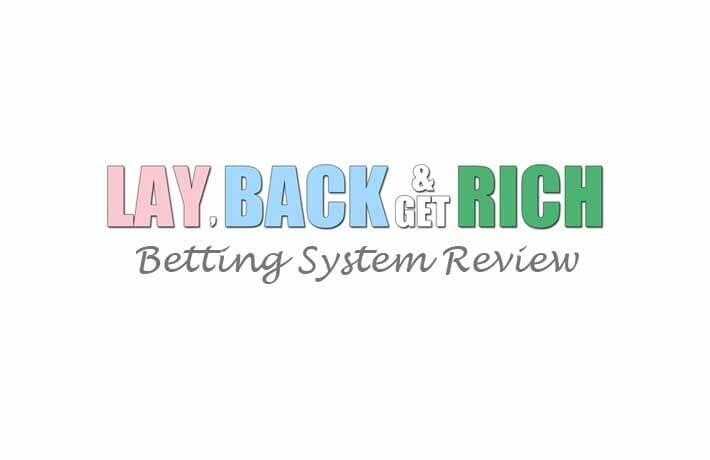 Max Racing Tips (now rebranded the Max Racing Partnership) is anything but dull. It may very well be a ‘selective’ service, as its advertising claims, but this doesn’t mean you should expect life with it to be peaceful. We began back in early September 2016 and, as luck would have it, immediately experienced a particularly tough run. At its low point, our initial £1,000 bank balance was reduced to just £45. However, there was then a remarkable recovery such that, by the end of month 5, we were almost £400 in profit! A difficult month 6 then put us back into the red (just). 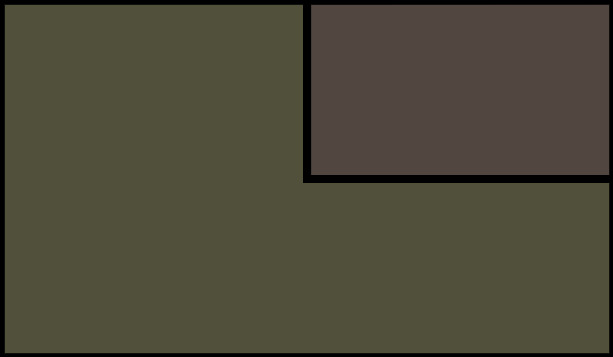 So.. did we manage to finish in the black for the trial as a whole? All the various ups and downs resolved into an overall negative outcome by the end. Betfair SP – returns at Betfair Starting Price after allowing for 5% winner’s commission. The numbers don’t really tell the full story though, which is all about volatility. You can download the complete results log for the trial by clicking here. This has been one of the most dramatic trials in the entire history of my site. When the betting bank balance got down to £45, I fully expected it to be blown completely and, of course, could scarcely believe it when we stormed back into the black. I firmly believe that Max Racing is perfectly capable of making you a lot of money. However, it’s equally capable of losing you a lot too. So it just has to be awarded a Fail rating. As it’s just far too volatile – well, for me at any rate. If, however, you’re up for the bumpiest of all rides, you can find out more about Max Racing Tips here. When I launched my site in 2011, I was happy to trial anything and everything. This included some pretty terrible services. I was so keen to leave no stone unturned that I thought it only fair to be as openminded as possible. Well thankfully, over time, experience turns (hopefully!) into a little wisdom. So nowadays I’m a lot more selective. Which is exactly the word I’d use to describe the service I’ve decided to start trialling today. There are few services that generate twenty tips a day that I really like. Firstly, a scattergun approach suggests the tipster isn’t confident in his selections. Indeed, it may mean he’s just chasing value rather than assessing the field. And secondly, it can take ages to find and put on all your bets. Which is just a pain. None of this is a problem however with Max Racing Tips. In August 2016 for instance, it produced just fourteen selections. June and July were admittedly busier with 33 and 36 respectively. But that still works out at fewer than one selection per day over the whole quarter. Clearly, this isn’t a service that is going to take over my life. It’s hard to be sure quite what you’re getting into with any new trial. But a cautious tipster is always likely to appeal to me. So here we go again: 200 bets away from our trial finishing line. It might take me a while to get there – but I’m hopeful it’ll be worth it in the end. I’ll be back with my first report in October. Meanwhile you can read more about Max Racing Tips here (and even get it for £1 for 30 days). I really like cautious services. There are way too many tipsters out there issuing long lists of selections every day. And they’re a total pain to live with. Give me a service that sends out just one, maybe two, well thought out bets any time. Because it really doesn’t follow that if you bet more, you’ll win more. Indeed, sadly, in my experience, the opposite is more common. All of which explains why I was pretty keen to get hold of the ultra-selective Max Racing Tips. I kicked off a trial of this appealing product on 6th September – and have only put on 121 bets in all that time. Basically, it’s a doozy to live with. However, of course, the big question is … am I making any money yet? Sadly, no. I’m ever so slightly in the red. What an anti-climax it’s all been. I can’t tell you how disappointed I am by performance to date. Now, I had a week off at the end of October, when I was on holiday in France, so maybe I missed all the winnings then! But I’m guessing, on the balance of probabilities, probably not. Still, being positive…. there remain 79 bets between me and the end of my trial and we are not that far short of parity. So one decent run might yet propel me into profit for the test as a whole. I’ll be back when I get to my 200 bet trial finishing line. In the meantime, you can find out more about Max Racing Tips here. 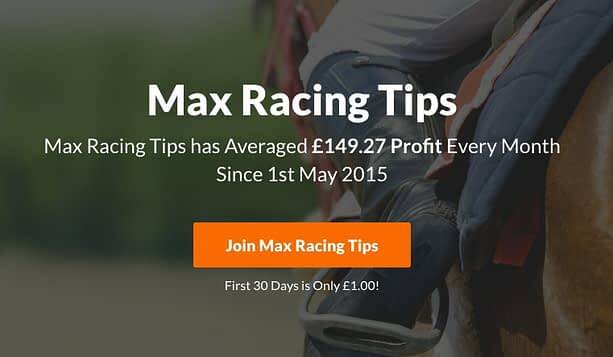 Max Racing Tips is the sort of service that is designed to appeal to serious punters. Instead of producing an avalanche of selections, the tipster only attempts one or two bets a day. Or sometimes, none at all. Selected horses tend to be mid-priced, though there has been the odd exception. I think the longest Betfair SP to date came in at a shade over 25, but, in the main, the tipster has concentrated on options below 10 or so. In short, it feels like a serious-minded service for serious-minded people. Unfortunately however, when I wrote my last report, the tips were falling short in one rather important respect. We weren’t making any money. Still, another few weeks have passed… so has our luck changed? Yes, we’ve had a much better month and are now firmly in the black. An ROI of around 5% isn’t anything to get too excited about, but it’s still better than the negative number we were looking at at the end of month #4. You can download the results log for the trial as a whole by clicking here. This is one unpredictable trial. I almost lost interest at one stage, as a losing run of 12 bets came perilously close to wiping out both my betting bank and my patience. However, I feel I have been rewarded for my persistence, with overall capital growth of almost 40% having made the tough days worthwhile. Still, we’ve a way to go until we reach our 200 bet finishing line so it’s still too early to start drawing firm conclusions. I need to rack up another 53 bets and have no doubt that the rollercoaster ride will continue over that period. But I’ll be back when I get to 200 selections with my closing thoughts. Meanwhile, you can read more about Max Racing Tips here. 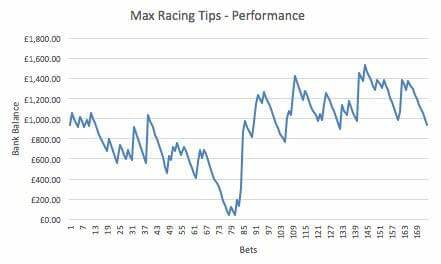 Max Racing Tips has certainly delivered a volatile trial. The first few months were all over the place, with my £1,000 starting bank balance being reduced, at one stage, to a mere £45. However, somehow, by the end of month 4, we had recovered almost to parity, to leave me only £27 in the red overall. Even more remarkably, by the close of month 5, we had climbed back into the black with net profit for the trial as a whole of £388. Frankly, it’s been unbearable at times, but I couldn’t help wondering whether this astonishing recovery could continue as we neared the trial finishing line. So, am I now being rewarded for my patience and sitting on a huge pile of profit? Or nursing further losses? Sadly, it’s been another very tough month. I summed this trial up last month as “unpredictable“. I now think I was way too generous. A more accurate description would be: “volatile in the extreme”. It really has been the definitive rollercoaster ride. And, I would suggest, this product is far too volatile for most of my readers. I have, however, 26 bets to go until I reach my 200 bet target so I’ll be back with my closing thoughts then. 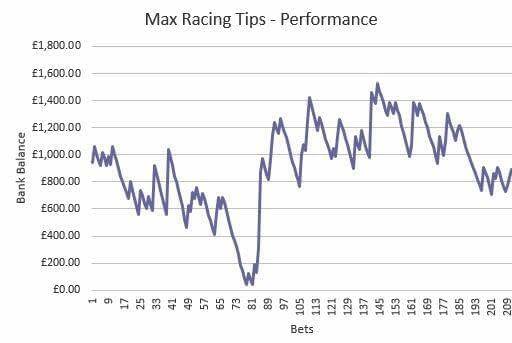 In the meantime, you can read more about Max Racing Tips here.